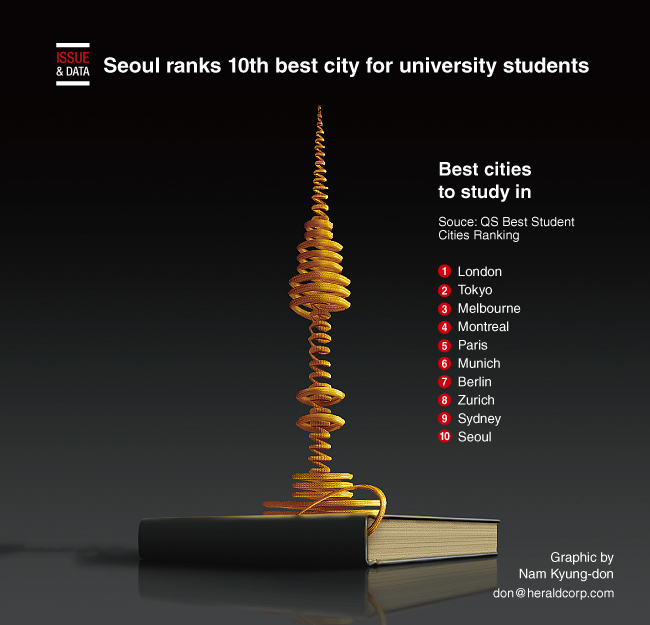 South Korean capital Seoul has been named the 10th best city in the world for university students, according to a report from the QS Best Student Cities Ranking. London overtook last year’s top-placed city Montreal to rank No. 1. The Canadian city was demoted to fourth, behind Tokyo in second and Melbourne at third. The study builds the rankings based on factors such as the number of top universities in a city, the local jobs market, the diversity of the culture and the quality of life.